María de Rumania, se la regaló a su hija la princesa Ileana de Rumania. Ileana es quien la vendió. 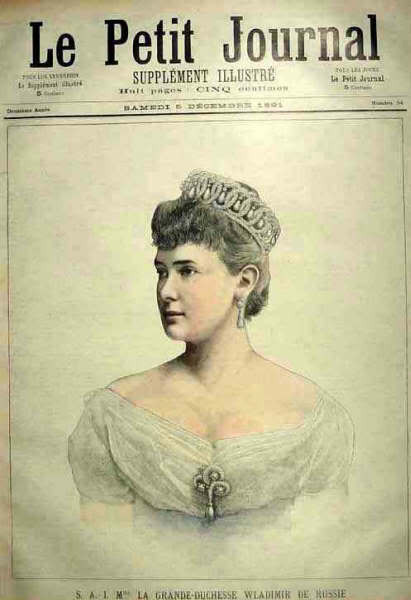 escrito por Ileana de Rumania, sobre la tiara. THERE IS one thing I cannot show you in either of my two rooms: one very important thing which I was allowed to bring with me from my old life, and which made the foundation of my new one. You can see it in a photograph of my mother there on the table, but no picture can give you any idea of the living glow and the rainbow fires in the sapphire and diamond tiara she is wearing. " Now that is what one expects of a princess!" Yes, I can agree with you. 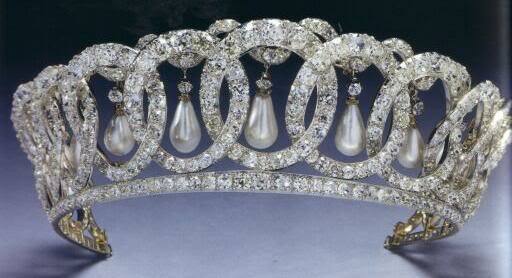 This was truly a royal diadem. 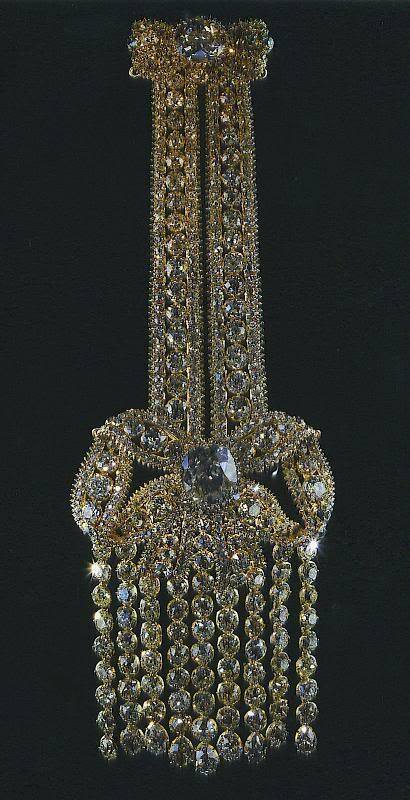 Nicholas I of Russia had it made for his wife, the Princess Charlotte of Prussia, when he became emperor in 1825. Through his granddaughter, my mother's mother, it descended eventually to me (it goes to Grandduke Vladimir, brother of her grandmother Grandduchess Marie, Duchess of Edinburgh and Sachsen-Coburg-Gotha , also a son of the tsar, and later his wife the famous Grand Duchess Vladimir, sold it to her mother on the fled). My mother wore it at her coronation in 1922. She chose it also to wear on state occasions during the visit she made to this country. and once in 1950, when I flew from Argentina to Miami—hoping to avoid any public recognition—with the tiara wrapped in my nightgown! Perhaps this is not your idea of how a princess should care for her jewels? It was certainly a surprise to the customs officer! To the tiara, however, it was only one more in a long series of adventures. A few of these I know about: for example, that it was smuggled out of Russia in 1918 during the revolution there. My mother had given it to me when I was married in 1931. I lent it to her to wear at the Jubilee of King George V of England, and she left it in her bank in London because of unsettled conditions at home. After her death I had no small trouble in claiming it, but I got it away from England just before World War II actually began. I kept it in Austria until 1943, when I smuggled it into Romania, and there I saved it from the Communists when I left in 1948. It went to Switzerland with me, and then to Argentina, where I pawned it to put money into an unfortunate business that failed. Its adventures as a single piece of jewelry were then almost over, for it became evident that I must try to sell it in order to pay our debts. Because by this time I was suffering severely from arthritis, I received permission in May, 1950, to come to the United States for medical treatment. As I gathered all my forces, physical and financial, to make this trip, I felt desperately that I was nearing the end of my endurance. I pawned everything I had of value in order to leave my family in Buenos Aires the money to live on, and in order to redeem the tiara. I could not afford to insure something whose "
value had once been appraised at eighty thousand dollars, so I decided to wrap it in my nightgown and keep it with me in a small bag. Thus with three hundred dollars, a ticket to Boston, and a hidden tiara, I prepared to enter the United States for the second time. It was a thirty-hour trip by air—over the Andes and finally over the Caribbean—and I had plenty of time to think. Bursitis in my left arm made me barely able to move it, and my back and feet were one continual ache from arthritis, yet I enjoyed that flight. Since my husband is an enthusiastic aviator, he had for many years flown his own private plane. Our trips to England, to Hungary, and to Romania were made by air as matter-of-factly as you plan to travel in your automobile. Indeed, when there are small children and babies in the family, traveling by air is easier than any other method I have tried. I remember thinking of this with great feeling in 1941! Pregnant with my sixth child, I drove the other five children (the oldest not yet ten) eight hundred miles across Austria, Hungary, and Romania during wartime. My husband and I had sought security and a new life for them in Switzerland and then in Argentina, but we had not found it. Could it be that somehow, in the friendly country I had visited as a girl, I might find a new home for them? What princess who is also a mother would not give up a diadem to gain a home for her children! Anxious, weary, in pain, but strangely hopeful, I finally arrived in Miami, where the long flight was interrupted. I lined up for customs inspection, glad to see that no word of my arrival had preceded me on this second entrance into the United States. I had not realized how public the inspection would be, and when it was my turn and I answered that I had something to declare, I asked if I could unpack my bag in private. The officer was good humored, but a little impatient with my hesitation. When I insisted on it, he made it clear that he thought I was being a nuisance. " What have you got there, anyway—a corpse?" he asked me. However, when he finally led me to an office and I opened my bag, it was my turn to feel a little superior. It was obvious that he did not know quite what to do when a tiara turned up in the luggage he inspected. He touched the central sapphire a little gingerly. Since it weighed 125 carats it was nearly the size of a man's pocket watch. Was it real? he wanted to know. When I assured him that it was, he looked still more harassed, but finally he decided that he would send it to Boston "
Together we wrapped it in a newspaper and put it into a box, which he duly sealed and ticketed. It was with a qualm, I confess, that I watched it put into the luggage compartment of the plane for Boston before I myself embarked. If it should somehow be lost, I was losing everything I had, and it was now out of my hands! Arriving in Boston, I was told that, since it was Sunday, all offices were closed and I would have to wait to claim my "
I knew no one in Boston except the friend who, with her husband's help, had arranged for me to come to this country. Since she could not be sure of the time of my arrival, I was to let her know when I got to the airport. I found a telephone and stood looking at it stupidly, giddy from my thirty hours' flight and full of pain. I had no idea how to use an American dial telephone, but I was in the United States, where people are kind. A friendly gentleman found the number for me and called my friend. The diadem was temporarily pushed to the back of my mind. When I did think of it I felt confident of its safety in this friendly country. Ten days of rest and hospital treatment, however, made me able to find my way to the customhouse and inquire for my "
It took some time for the officials to trace it, and I felt some stabs of alarm until it was finally located in a safe in another building. But even within sight of it there was a further delay—I must get a "
! I had never heard of such a thing, and when it was explained to me I naturally asked: "
But whom shall I get?" Oh, we are not allowed to recommend any particular broker, but there are plenty around here,"
replied one of the gentlemen, waving his hand casually in the direction of the window. I looked out, and my eye fell on a sign across the street: "
Why not go there? I thought to myself—so I did! Everyone was very matter of fact about the whole thing, both then and the next day, when we all met by appointment in an office of the customhouse on Atlantic Avenue. Everyone was very matter of fact until the parcel was opened, and the officials saw what had been lying about the office for ten days—for even I, who was so familiar with it, felt always a thrill of delight at the radiance of blue and white fire when the tiara was suddenly brought into the light. The faces of the men revealed their shocked amazement. They gasped. Then one smiled, relieved. " But of course you have this insured!" I told him calmly. " Why should I? It has escaped the Nazis and the Communists safely. Naturally I did not expect to lose it here!" They were evidently uncertain whether to laugh or to scold me, but from that moment we were all friends. One of the men asked me to autograph a visitors' register he kept—"
with all your titles and things!" and I was tempted to draw him a little sketch of the tiara as a souvenir. The age of the jewel was found to make it free of customs, so eventually I walked off with it under my arm—still in its somewhat battered cardboard box. When it was rewrapped with the help of Mr. Irvine, who represented my "
I tucked it under my arm again and walked up State Street to the post office, where I mailed the package to a jeweler in New York. That was not its last journey. Sometimes it was guarded by police, at other times my son carried it about in the subway! Finally, after much trouble, worry, and heartbreak, it was sold for a sum much below its value. It was both beautiful and splendid, but my children were in need. As it stood, it neither fed us nor clothed us nor warmed us. I could not even wear it! So I was grateful on the day when it was gone, even though I felt a traitor to the past and all the proud heads that had worn it. I wondered if my ancestors were turning in their graves—and then I remembered that hardly any of them have graves any more. Does this sound strange to you? It is because the Communist and the revolutionist fear the dead and destroy their bodies. Those graves of heroes which have been shrines for the people, those tombs of rulers which bear testimony to the proud history of a nation—all of them are violated. to take a respite in which I could regain my health and find a way of earning my livelihood. " Il faut faire face à la vie, car la vie aime les braves." It is necessary to confront life, for life loves the brave: so my mother once wrote in a book she dedicated to a friend. Many years later, in a time of great trouble for me, I found and opened that book—and the message was as if my mother had spoken to me in that hour. El broche de la gran duquesa María "
, aunque tiene un parecido con el de la zarina Alejandra Feodorovna, no es el mismo ya que éste fue comprado a Cartier por la gran duquesa. 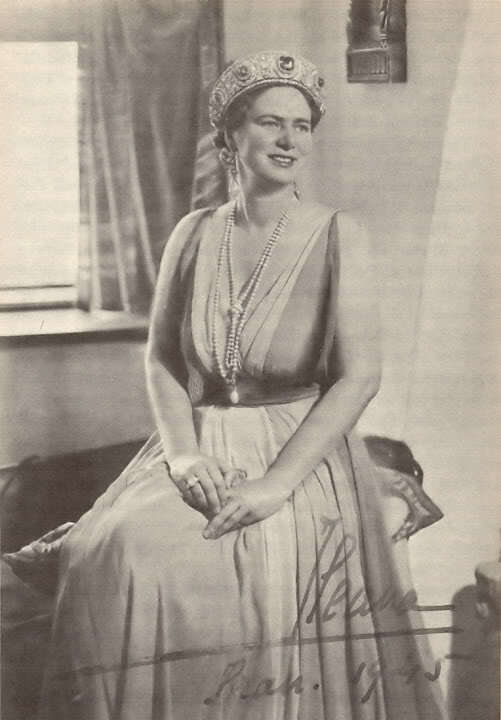 Otra tiara rusa de increible belleza y que también fue de Miechen, es la de perlas y brillantes de la reina Isabel II de Inglaterra. 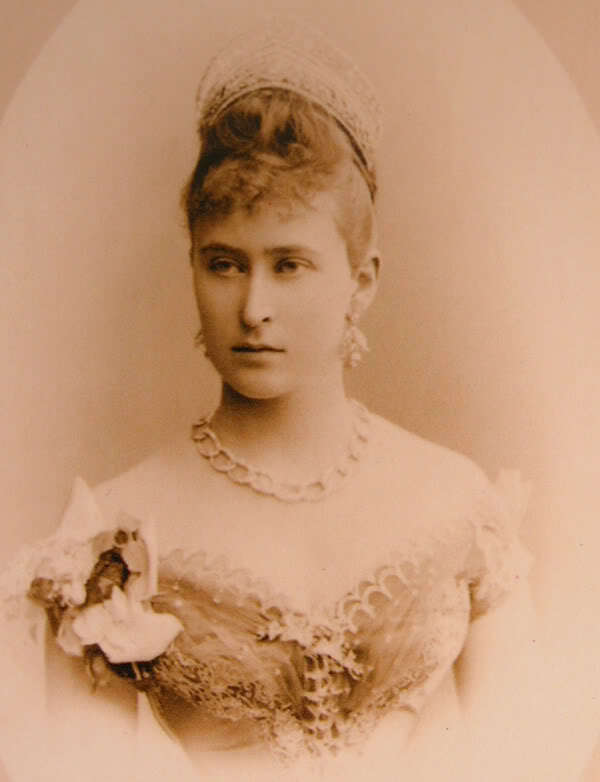 Fue comprada por la reina Mary de Inglaterra a los descendientes de la gran duquesa María. Gran duquesa María Pablovna "
La compró la reina Mary de Inglaterra. La reina Mary de Inglaterra . Su actual propietaria la reina Isabel II. Hace poco puse una foto de esta maravilla, pensé que podía ser un broche que usaban las grandes duquesas en su matrimonio pero descrubrí al zar Pablo I, llevando uno parecido tipo condecoración en su hombro. Foto de Miechen, de más joven con sus maravillosas joyas. Perlas de la gran duquesa María pablovna. 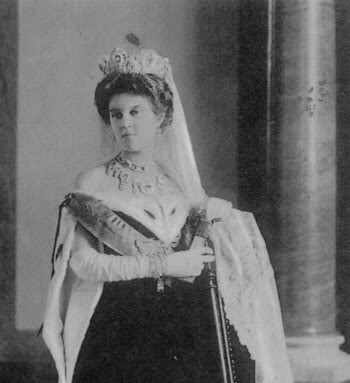 Coronita de brillantes regalada a la gran duquesa Isabel Feodorovna "
, de parte de los zares, por motivo de la coronación de Nicolás II. 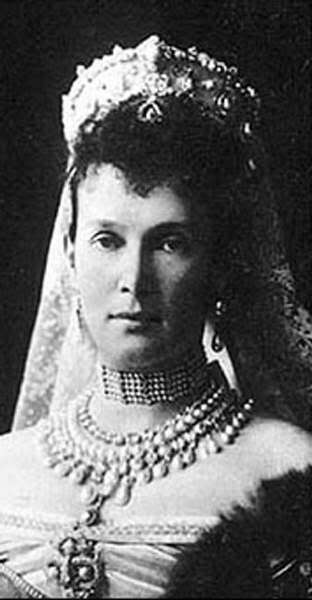 La Gran duquesa isabel Feodorovna "
, hoy santa de la iglesia ortodoxa rusa, luce un collar de diamantes de Faberge. Cuando fundó la orden religiosa de Marta y María, regalo y vendió sus joyas. El collar se lo dio a la sobrina de su marido la gran duquesa María Pablovna "
de Rusia que se casó con el príncipe Guillermo de Suecia. María de Rusia y su collar junto a otras joyas rusas. 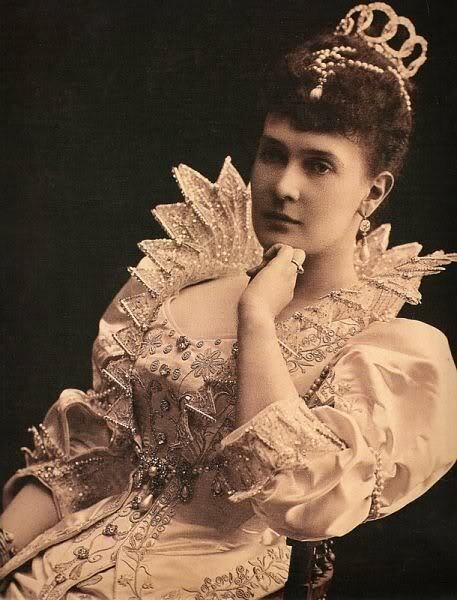 Esta tiara de brillantes y rubies era también de la gran duquesa María Pablovna "
Fue hecha por Cartier en 1908 y vendida por los descendientes de la gran duquesa, luego la compró Nancy Leeds, la millonaria americana casada con Cristobal de Grecia. Al centro tiene el famoso ruby Leuchtemberg. Este broche de rubies y brillantes también perteneció a la misma gran duquesa. 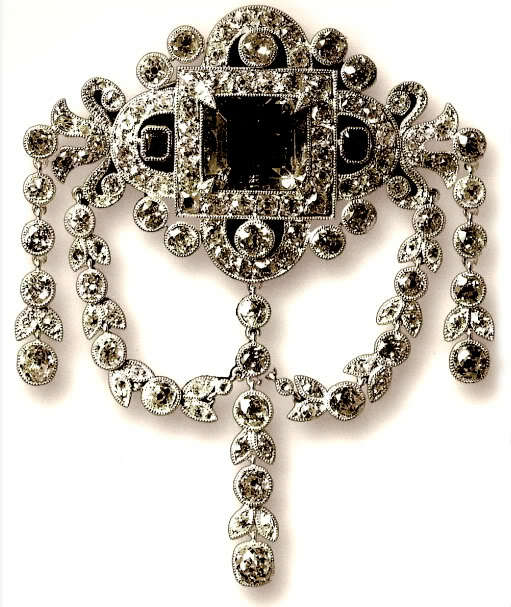 Collar de esmeraldas y brillantes, regalo de Catalina la grande al duque de Buckinghamshire. Amatistas regalo del zar Alejndro I a la Marquesa de Londonbery. Hay distintas opiniones respecto a este zafiro, en todo caso es seguro de que su origen es ruso. Lo más probable es que la piedra fuera de la gran duquesa Maria Pablovna la mayor, es decir de Miechen, sus descendientes la vendieron a Cartier. 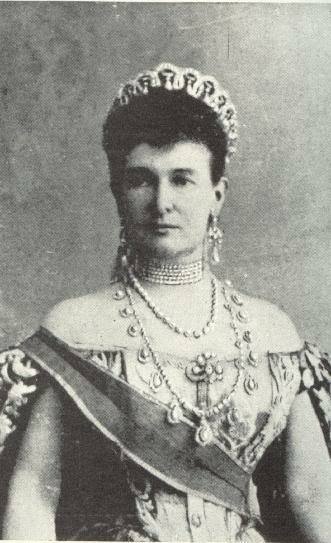 El joyero la transformó en un collar de brillantes con el zafiro de 478 quilates de colgante , la reina María de Rumania, la compró a Cartier. María de Rumania y su collar con el maravillosos zafiro ruso. El collar fue heredado por su nieto el rey Miguel I de Rumania, quien por razones financieras lo tuvo que vender. Lo compró un magnate griego que luego de un tiempo se lo regaló a la reina Federica de Grecia. Se cre que la reina Federica, lo vendió pues nunca más se ha sabido del zafiro, otros creen que aún está en la fmailia real y que lo tiene el rey Constantino II. El collar de esmeraldas y brillantes es majestuoso. 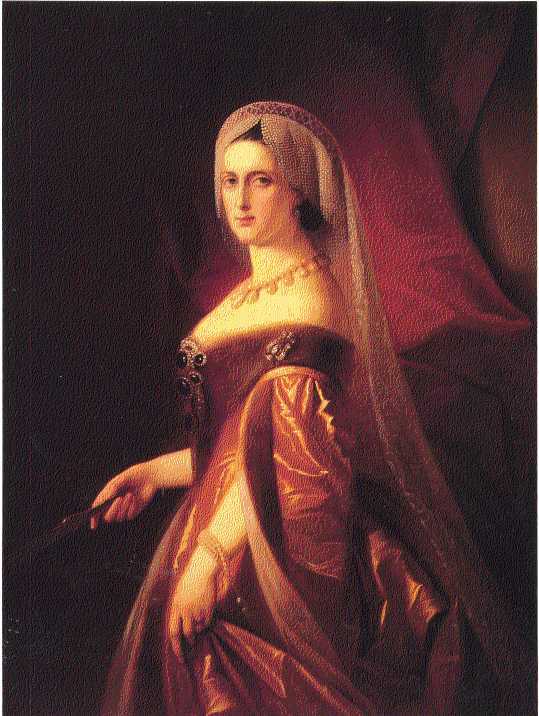 MARIA GRAN DUQUESA DE RUSIA, DUQUESA DE LEUCHTENBERG, HIJA DE nICOLAS i Y CARLOTA DE PRUSIA. LAS JOYAS SE VEN MAGNIFICAS.